Pig Farming | What is a Pastured Pig? Pig Farming |What is a Pastured Pig? 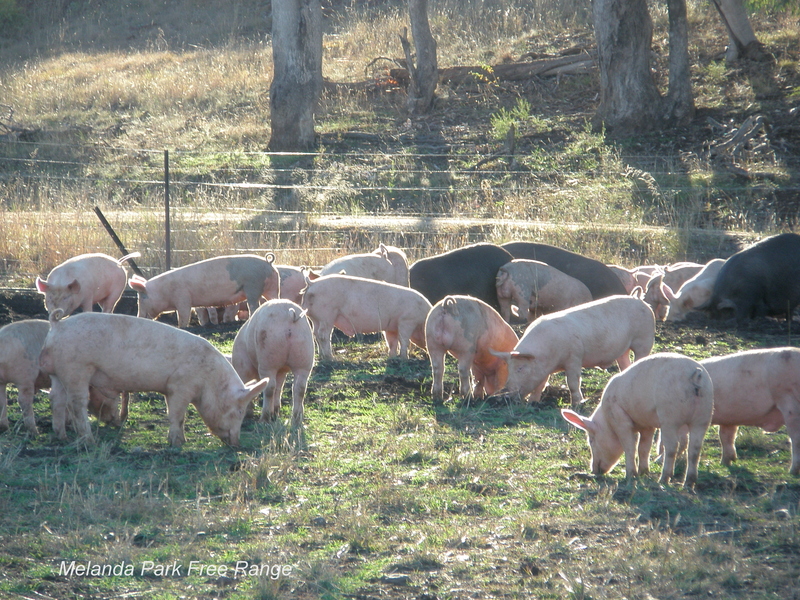 Pigs are born and raised outdoors with continuous and unrestricted daytime access to paddocks that are suitable for grazing and are provided with shade and shelter. All animals must use the paddocks each day unless; they choose to shelter because of inclement weather, short term confinement for veterinary treatment or when giving birth. Feed supplements are available to ensure all their nutritional needs are met. Animals are kept at a stocking intensity that will ensure forage is always available in a sustainably managed rotational grazing system. Pastured pigs are free range pigs that are born and raised outdoors and spend their entire lives free to graze on pasture in open paddocks. Pastured pork is not 'grass fed' pork, not in the truest sense of that term because pigs cannot survive on grass alone. Pigs are omnivores and that means that like you and me, they need a varied diet that consists of a nutritionally balanced feed that includes fibre, energy (carbs) and protein along with essential vitamins and minerals. 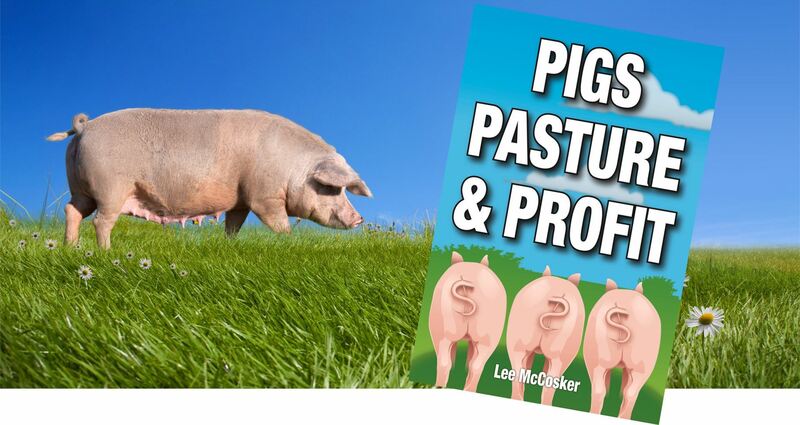 Pigs on pasture do eat a lot of grass and also get a lot of their nutritional needs from the soil but the main reason for calling them pastured pigs is to best describe how they live their lives while on farm. Pastured production means always having access to grazing, living in open paddocks with plenty of room for the pigs, no feedlotting and no overcrowding. Raising free range pigs on pasture also means that the sows live their entire lives outdoors and give birth outside while being provided protection from the elements and predators. There is generally no fixed sheds or buildings in a pastured free range system as housing and hutches are mobile so that they can easily be moved around the paddocks with the pigs. All pigs are born and raised outdoors with continuous and unconfined access to pasture throughout their life time. They are kept at a stocking intensity that will ensure forage is always available in a sustainably managed rotational grazing system. When it comes to official guidelines for free range pastured pork there are a couple of generic descriptors but unfortunately they are a bit fuzzy and make it hard for the consumer to figure out. From the producer's point of view we will discuss a couple that you will come across. This is how many free range producers believe they should be able to describe their production system. Unfortunately current guidelines and codes of practice, and some planning instruments, have not caught up with modern farming practices and this means that you could get caught out. It times past, extensive did mean that the pigs were kept outdoors or at least in outdoor runs. Now the term relates to how much food is brought into the farm to feed the animals. Time and time again we hear of producers that have made contact with their local council and had someone at the front desk tell them that they should be ok if they are extensive and perhaps not need council permission to set up a piggery. If someone at council tells you this, get it in writing before you proceed! the animals rely primarily on foraging and grazing, rather than on supplementary feed, to meet most (greater than 50%) of their nutritional requirements. It would be extremely difficult to raise marketable pigs this way as a pig's nutritional requirements are very specific if the pork you produce is to meet market specifications for fat scores and tenderness. Poor nutrition will slow a pigs growth and impact greatly on the quality of the meat and it will be excessively fat in most cases and the pig's welfare may suffer. The Victorian Code of Practices Piggeries 1992 does have a classification for extensive pigs based on stocking densities. The pigs are kept in small paddocks, sometimes with arks or other basic huts. The paddocks are rotated with a pasture or cropping phase. During the stocked phase, the pigs are supplied with prepared feed, but can also forage. During the non-pig phase, the area grows pastures or crops that are harvested to remove the nutrients deposited in pig manure during the stocked phase. Most free range producers will fit into this category - even some of the very large commercial piggeries. This type of piggery usually means that you will need to talk to your local council to see if you need to lodge a Development Application. This will also depend on how many pigs you keep and the zoning of your land and each state in Australia has different planning laws. There is no mention of stocking densities so differentiating your pastured production system from feedlot piggeries is difficult. If you want to set yourself apart in the market place, become a PROOF Licensee.